This record was big for all of us here at JR this year because it was a perfect example of the right thing at the right time. Heres what I mean: since about 2001 when the White Stripes and Strokes broke out and everyone you knew started wearing ironic AC/DC shirts and tight pants, it has been sharp, angular post-punk and garage rock ruling the day. Of course, this sound has given way somewhat to indiedance-whatever you call it, some Gang of Four bands, and whatever they are calling Devendra Banhart and Six Organs of Admittance these days (is it still freak folk? ), but until this year there hadn't been many high profile indie records released that could be classified as psychedelic (aside form Dungen, which technically was released in 2004). 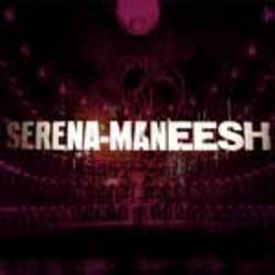 Now hold on there you say, Serena Maneesh doesn't sound like Love or 13th Floor Elevators or early Pink Floyd. True, they really don't sound like these bands, although they are indirectly influenced by them in several ways. These influences certainly can be heard throughout the record in songs like "candelighted," but are indirect in the sense that SM is actually influenced by a slightly more recent set of bands that borrowed liberally from the spacey walls of sound flowing out of San Francisco in the mid 60's: shoegaze. Yes, this is a band whose closest point of reference is NOT The Sonics, Velvet Underground, Suicide, or Krautrock like so many others that we read about these days, but rather Slowdive, Ride, Chapterhouse, and dare I say My Bloody Valentine (no one thats heard it can tell me that "Un Deux" doesn't remind you of Loveless at least a little bit). However, SM avoids the two pitfalls that many of the late 80's/early 90's shoegazers succumbed to: 1) sloppy use of noise, and 2) constant recycling of the same song structure. This is certainly a dreampop record in some spots and a loud jam freak out in others, but SM uses their walls of noise effectively and avoid monotony by knowing when to turn it up, turn it down, speed it up and slow it down. This record is not a plane of dreampop but rather hills and valleys of blues riffing, quiet reflection, reverb, distortion and anticipation, all constantly running together, building up, breaking down, and building back up again to create what is essentially at the end of the day a pop record that seems to have nothing to do with pop when broken down into small parts. Try an experiment: listen to "Sapphire Eyes High" first and then opener "Drain Cosmetics," followed by the most obvious shoegaze song on the record, "Un Deux." You'll probably like all three songs, but they will sound like they have nothing to do with one another, and might not even be performed by the same band. Then listen to all the songs on the record in order, and you'll start to realize that they all have consistent themes, and after a while you might not be able to tell some of them apart... but in a good way. Basically, this is an "album" in the classic sense of the word, meant to be listened to as a whole. Of course, all the songs are quite listenable on their own, but that misses the point. Take 45 minutes, you busybody, and sit down and listen to an album. You'll thank us, we'll thank Serena Maneesh, and then we'll all get back to that A Frames cd or whatever. Not that we have a problem with post-punk (in fact we love a lot of it), its just nice to know that once we do get sick of it, there will be smart, talented bands out there ready to fill our ears with the complete opposite of Q and Not U.
Google Image Search of the Week: "Jerk Face"